This is an 8 x 10 oil on panel done with bold brushwork and nice thick paint. 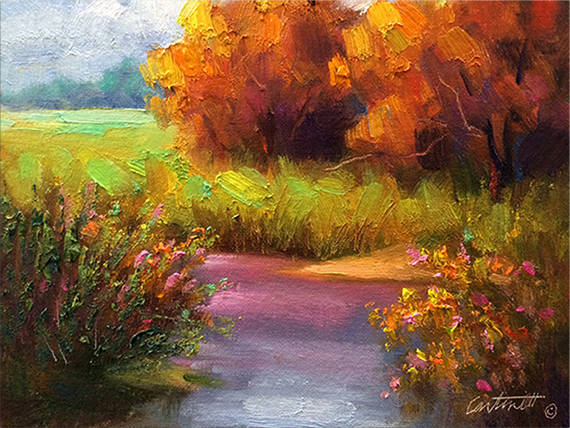 It is a creek with some trees and full fall foliage by my studio, I paint this creek probably a dozen times a year. Only each time I do, I paint it different from the others.